alt="Youth Conferences at Dixie State University"
Let us take the trouble out of planning your Ward/Stake Youth Conference! With a pre-planned itinerary all you need to worry about is transportation for your group. No preparing meals, washing dishes, coordinating schedules, etc. We take care of your lodging, arranging meals, booking rooms, and scheduling tours so all you have to do is show up! Our staff will also supplement off-campus activities with several on-campus activities throughout the conference to keep your group entertained. We are happy to work with you to customize a Youth Conference that will stay within your budget and create memories your youth will remember for years to come! Already know what you want? Click here to fill out our inquiry form. 2:00-4:00pm - Check-in, Receive Room Keys, lanyards, DSU water bottle and cinch-pack, get packed-in and settled. We are excited to have you here! The "Welcome Party" includes pertinent information about campus and prizes to get things kicked off! Your TrailGuide will take you on a quick campus tour to show you where activities, events, and meals will be held. They’ll also give you a run-down of why it’s so great to be a DSU Trailblazer! You'll have your choice of dining on campus, or at The Pizza Factory*--a St. George Favorite! You can choose to see a local show at Tuacahn, Brigham's Playhouse, or St. George Musical Theater! Or hang out with us and enjoy a movie night on campus with popcorn and homemade rootbeer! You are also welcome to hold your own evening activity. Just let us know if you'll need a meeting room. 10-11:30pm Return to Dorms, quiet hours. You'll probably be ready for bed. If not, let us know if you'll need a meeting room. 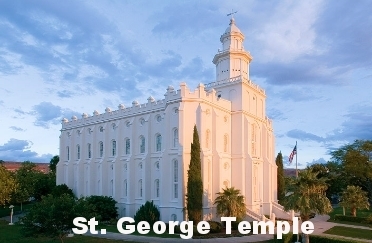 Temple Trip: Based on the size of your group and availability, we can arrange Temple Baptisms and Visitors’ Center Tours. 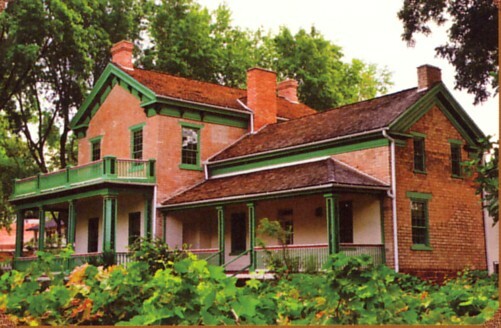 Historic Tours: Choose from Brigham Young's Winter Home, Jacob Hamblin Home, St. George Tabernacle, Daughters of Utah Pioneers Musuem, Family History Center and more! Service Projects: We can provide you with contact information to setup your service project with one of our local non-profits: Habitat for Humanity, Deseret Industries, Switchpoint Homeless Shelter, Utah Food Bank, and more. Water Games (We facilitate): We are in St. George after all! Beat the heat with rotating stations featuring water balloon volleyball, kiddie pool kickball, water dodgeball, balloon catapult, and more! (Held in the afternoon). Beat the heat with our indoor BBQ! We’ll be serving up freshly grilled burgers with all the fixings, Dutch-oven potatoes, garden salad, chips, cookies, watermelon, water, and lemonade. Pool Party at City Pool w/hydro tube: We’ll have the pool all to ourselves! 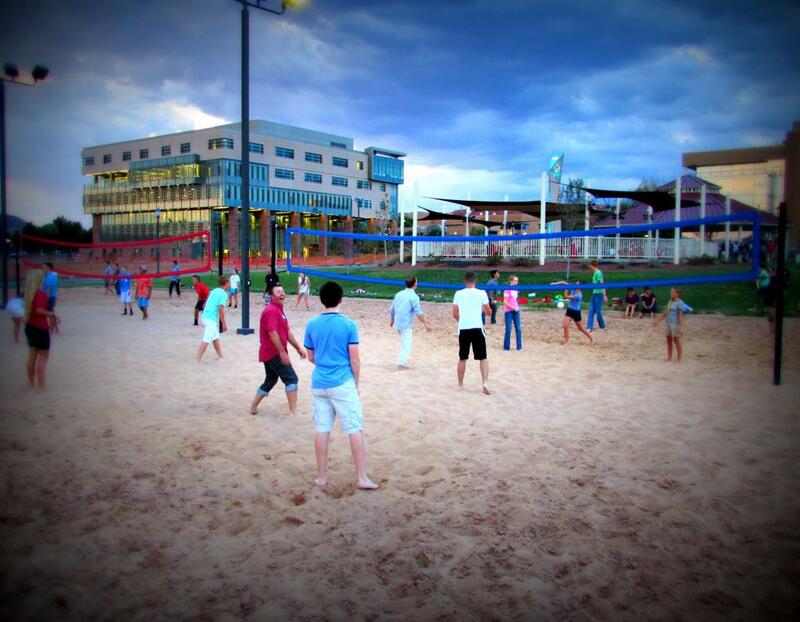 Mingle with other groups, join the diving board competition, play some dunk ball, or just relax. But don’t forget to try the 250-foot long hydro tube! You are also welcome to be on your own for a private activity, just let us know if you'll need a meeting room. After today we really think you’ll be ready for bed. If not, let us know and we can arrange a room if you’d like to meet for a speaker/devotional with your group. Or, step across the street for a late-night snack at Swig! 9:00am Today is up to you! Have a closing meeting or speaker, or just check out and get on the road. For an extra fee you can take a box lunch with you to eat on the drive home. Suites include cable TV, wifi, laundry facilities, living rooms, and balconies. Access to Campus View for laundry, game rooms, etc. Brook's Stop Convenience Store: Serves up fresh cooked pizza and sandwiches, soda and snacks. Trailblazers Cafe Lunch/Dinner*: Our Cafe has 5 "Stations", a salad bar, and all sorts of desserts. Your one-trip meal includes your choice of main course, a side, breadstick or roll, dessert, and medium Coke® or Pepsi® fountain drink! Wild Wok: Create your own dish and choose from several meats, noodles, rice, vegetables, and sauces. Then have it cooked right in front of you! Blaze Grill: Made to order burgers, fries, onion rings, sweet potato fries, grilled chicken sandwiches and more! Bisontes Italian: Freshly baked Pizza, Pasta, Lasagna, Breadsticks etc. Brooks' Range Home Cooking: Get your fill of good old fashioned comfort food including casseroles, mashed potatoes, pot roast, just like grandma cooked it! La Estampida: Fresh mex style salads, burritos, enchiladas with your choice of sweet pork, beef, or chicken and tomatillo ranch dressing! *The Trailblazer Cafe option is limited by group size. Large groups will be served cafeteria style meals. All you can eat pizza buffet with salad, breadsticks and Coke products! Use of campus grounds, amphitheater, fire pit, lawn areas, etc. Use of housing lounges with games, etc. Groups are responsible for all transportation to various off-campus event/sites. If needed, we can arrange DSU Bus service for local destinations at an additional cost. Call for details. *Based on Availability. Pool Party may be canceled due to weather. If so, an alternate activity will be held on-campus indoors. Pizza Factory has a maximum group size of 75 people and reservations are first come first serve. **Zion Nat’l Park, Snow Canyon State Park, and Kanarraville Falls have per vehicle entrance fees which are not included in conference price. ***Speakers may be an additional fee. To request your dates, please fill out the inquiry form, or call 435-652-7663. We are currently taking reservations for summer 2019. After we have received your request, we will contact you for more information. Your reservation will not be confirmed until we have received your signed contract and security deposit. Deposit amounts are based upon number of participants.